You may have grandparents at home. They may be old and physically weak. You must have seen your parents take care of them. So how do they take care of them? 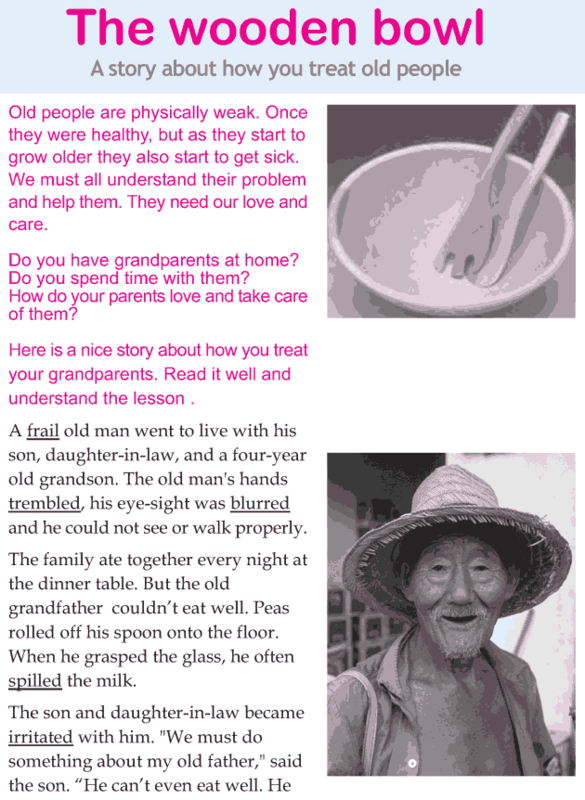 Let’s read a story which shows why we must take care of our parents and grandparents.